Gone are the days of simply drip coffee. There is something special about having a delicious coffee drink in a fun atmosphere. 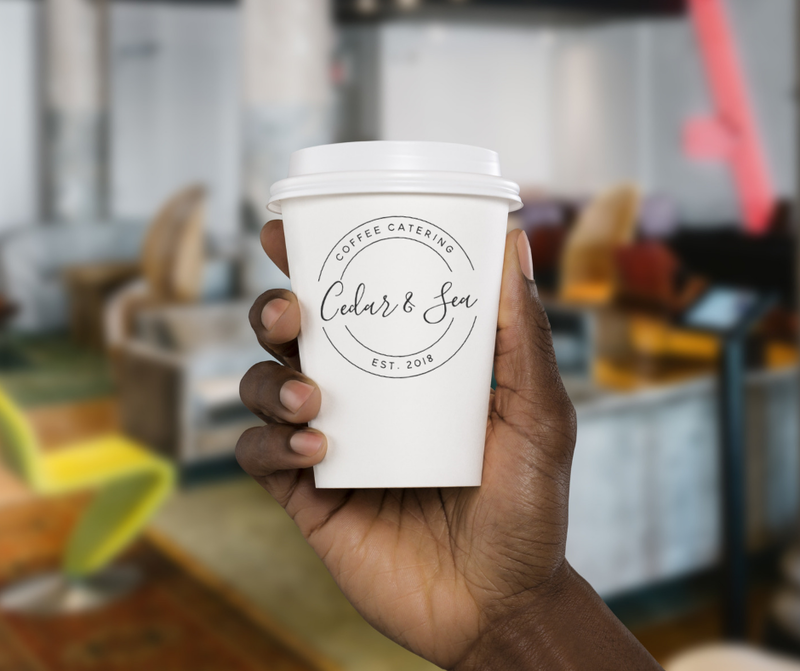 Whether it is a wedding, a business meeting, graduation party, or something different, having specialty coffee is a sure way to impress and engage your guests. 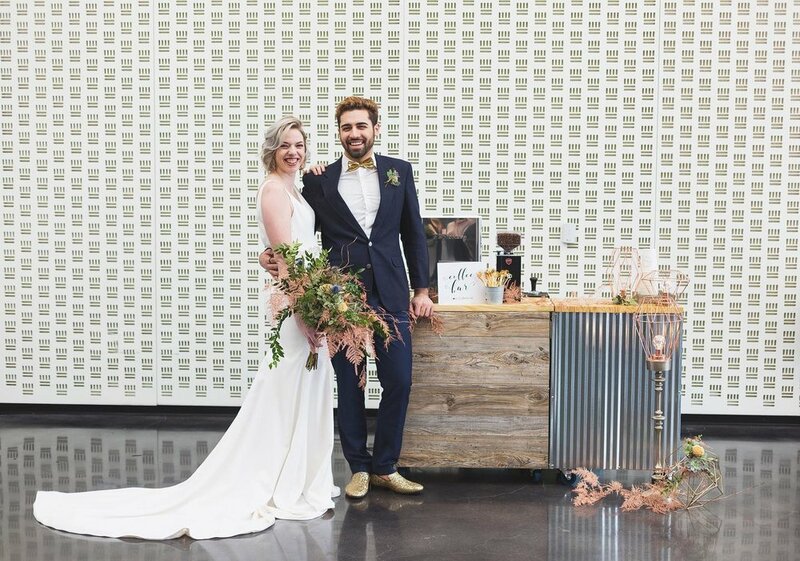 Having a coffee cart is a fun, exciting, and unique addition to a wedding! With delicious specialty coffee drinks, you will have a wedding that all of your guests will remember! We can do bride & groom drinks and can customize your cups to have your special day always remembered. Are you looking for ways to impress potential clients? Do you have a team meeting? Have Cedar & Sea come to your event! No matter the occasion, consider using specialty coffee to impress and show your gratitude to all in attendance. We offer a Weekday Special for business events! *Ask us about repeat business specials! From graduations, birthday parties, farmers markets, teacher appreciations, church events, family reunions, block-parties, or even holiday parties, we can help you take your event to the next level! Straight Forward Pricing. Unlimited Drinks. One Price. No Hassle. No BS. Our Barista Package is a perfect starting point for any event. As it is, it can be a huge hit for your event! Also, we can add any of our options+ menu to your event. Double Espresso Package- 2 hrs. Do you have an upcoming business event that you want to bring value to your potential clients? Do you have the best employees and want to thank them for all of their hard work? Or do you have great customers and want to thank them? Cedar & Sea can bring great value to you at your event! Please contact us on how we can bring great value for you at your next event! Our catering services are very customizable. We offer a wide selection of fun and unique options that will for sure entertain all that attend your event. *Please see tab below for full list and pricing for Options+. Do you have a great company logo, picture, or #Hashtag for your event? We can help create a custom design and have each design transformed into a stamper. You will also be able to keep your stamp! There is something about a great tasting cup of coffee. Pour-Over Coffee is simple yet profound. This is a great addition to our barista package or even as a stand alone package. Also consider having simple Drip Coffee for those who want a quick drink. Whether it is a warm summer day or even a cool winter night, a delicious iced latte is a perfect addition to our barista package. Please inquire about iced drink options! Let’s grab the marshmallows, whipped cream, chocolate syrup, candy, nuts, and have a fun hot chocolate bar fit for any age! Interested in adding additional milk options? Whether Almond, Soy, Skim, or Coconut Milk, we are able to make delicious drinks with all milk preferences. Feel free to ask about any other services we may provide. If you have an idea, we would love to accommodate as much as possible. Please answer these questions so we can better assist and answer any question!